Legend Trail is a resort-like master planned community located in far North Scottsdale Arizona, east of Carefree. 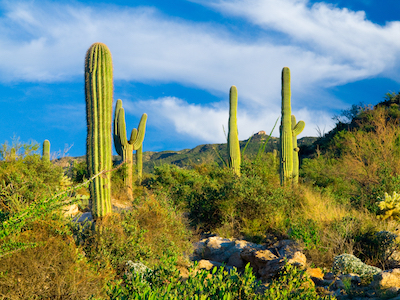 Set high in the Sonoran Desert, fifty percent of the 640 acres are devoted to open space, so those who live in Legend Trail real estate experience an oasis of open beauty and the surrounding landscape. This sustainable community was designed to preserve the resources, natural beauty and ecosystem. Legend Trail real estate offers many different types of dwellings from upscale custom homes, to single family detached homes as well as condos. Homes range from 1500 square feet to over 5500 square feet. 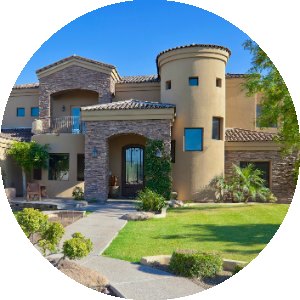 The Legend Trail Desert Community offers a variety of custom High Desert Homes that complement the surrounding environment including; Santa Fe Pueblo, SW Contemporary, Mediterranean, Old World, Tuscan and Contemporary. Legend Trail has individual subdivisions that start around $400,000 and go to about $900,000. There are five distinct areas of Legend Trail, all linked by the historic Whiskey Bottle Trail that winds throughout the community, and by the greens and fairways of Legend Trail golf course. Many home sites rest on the public golf course within the community where the views, landscape and mountain back drop are truly enchanting and offer an environment of ever changing beauty. The Legend’s Trail 72-par public golf course first opened in 1995. Designed by Rees Jones, this manicured bent-grass golf course follows the natural topography of the high Sonoran desert of North Scottsdale. Golf Digest ranked Legend Trail 4.5 stars in its Best Places to Play. They called it one of the “valley’s best and toughest.” It has also been chosen as one of Golf Magazine’s top 100 courses Residents of Legend Trail have the ability to get advanced tee times and reduced fees for greens. Legend Trail residents can pay about 75% less than public players. Residents of Legend Trail enjoy the 10,000 square foot clubhouse offering spectacular views of Pinnacle Peak, the McDowell Mountains, Camelback, and the Mummy Mountains. Some clubhouse amenities feature a state of the art fitness center, two lighted tennis courts, two pools, a pool-side Jacuzzi, as well as walking and biking trails. Residents of Legend Trail homes have the option to participate in a wide variety of social activities. The various groups with Legend Trail real estate include bridge clubs, men’s poker night, men’s tennis, and water aerobics. A fun and games calendar is accessible from the Legend Trail website. 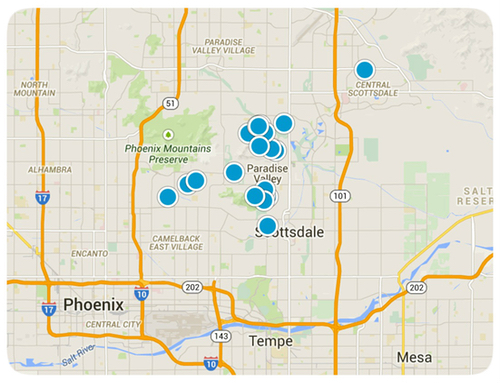 The school district for this area is the Cave Creek Unified District. The middle school is Desert Arroyo and the high school is Cactus Shadow high. You'll find the very latest homes for sale in Legend Trail featured below. This information is updated throughout the day so be sure to check back often! 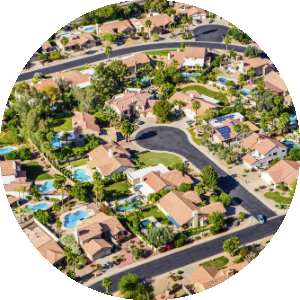 Search the complete inventory of Legend Trail homes for sale by price, community amenities, square footage and more using our detailed ADVANCED SEARCH option. See something that interests you? Want more information? 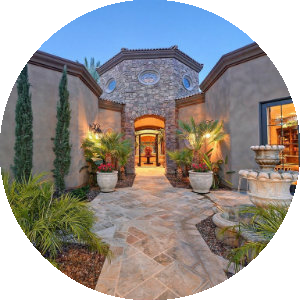 Contact Us anytime to schedule a private showing for any property you find on this site or for more information on the community of Legend Trail and all Scottsdale area real estate.